Client Testimonials - Brenden Morris Insurance Agency, Inc.
"Dear Mr. Morris, Thank you for the card stock, expo markers and erasable highlighters. It is truly kind of you to support Brookside. The kindergarten team thanks you!" 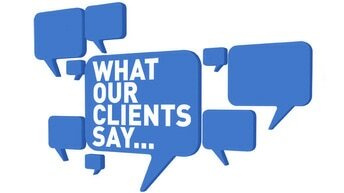 -Kim A., Barbie L., Beth B., Amy W. and Casey W.
"Brenden has been the insurance agent of choice for an office that I opened for Keller Williams. He spent the whole day with the KW agents at the Sherman Oaks street fair helping educate the public about the importance of having their children fingerprinted. Brenden went so far as to acquire , educate and hand out the packets that parents needed to do the actual finger printing. Always on the ball and paying attention to the most minute detail, Brenden gets superior quotes and gives exceptional service to home buyers. He is never pushy or aggressive but makes sure that all clients are given as much time as they need, and more importantly that they receive all the information they could possibly want to make an informed decision. Home insurance, car insurance , bundle policies and discounts, Brenden is a one stop shop for anyone's insurance needs. "Seldom do I write recommendations for our vendors yet alone a recommendation of such high order. Brenden's attention to detail and knowledge of his product has exceeded other agents who we have used in the past. Direct introductions to my clients is made with confidence and has always been a good reflection on me and our business choices." "Brenden's been my insurance agent for over 7 years. His company insures my business, my car and my home. He and his staff are always there when I need them. They provide great customer service at all times." "I highly recommend Brenden for his timely response and his knowledge in the insurance industry. "Brenden has always taken care of my insurance needs. He gets me the best prices available and takes care of all the headaches that i create. Would and have recommend to all my friends and colleges. He goes out of his way to make the deal work. Recommend :)"
"Brenden is a great agent working for a great company. Thank you Brenden for always being there for our family!" "Brenden and his team of experts are among the best in California. I highly recommend you give them a call for your insurance needs." "Brenden is an absolute professional. My team relies on him for expertise and guidance. Not only is he a great agent, but is very connected and we use him a resource for multiple outlets."